Like most of the women who tell their stories in Living Islam Out Loud: American Muslim Women Speak , I did not begin to seriously question the religion I was taught until I reached my late teens. I was a devout believer. My experience mirrored that of Samina Ali, who writes: “[M]y girlfriends and I spoke in earnest of how lucky we were to have been born into our religion, for all those outside of it were born blind and would, by their own choosing, die blind.” I had a beautiful childhood, and my adolescence, while plagued by loneliness and a depression I kept hidden from everyone, was innocent and full of dreams. But in young adulthood, as I became exposed to more and more Muslims, and to the rise of an emerging, strict interpretation of Islam known as Wahhabism in the United States, an uneasiness developed in my heart. For most of my life, I had loved God and feared Him as the Qur’an repeatedly commands. I spoke to Him directly and believed that He was aware of all. I was raised in a practicing Muslim family, and my parents held moderate views. Raised in American society, they were aware of the realities of living among non-Muslims. My father had studied Islamic law but had no desire to recreate seventh-century Arabia. To the puzzlement of many of our Muslim friends, we dabbled in vegetarianism and spent a great deal of time with non-Muslim relatives. While my mother and I covered our heads with scarves and wore loose clothing in public, my brothers and father usually donned the kufi or taj (a yarmulke-like hat for males) to identify themselves as Muslim, too. My father wore a beard to cover his face, but asked my mother to stop wearing the face veil after they married because of the amount of negative attention it attracted. We watched television, listened to Motown music, and took photographs. We were also very observant, following all dietary laws, praying profusely, and regularly giving charity, even when we could have used it ourselves. From my parents I heard about “crazy” Muslims who committed violence in the streets because they had come into Islam with all of their pre-Islamic rage and ignorance; oppressive Muslims who viewed their wives and daughters as property; wealthier Muslims who looked down on American converts and believed that the whiter one’s skin, the better one was. I had heard about all of these things and more, but had rarely seen them with my own eyes. As a young adult I began to come into contact with some of what my parents had cautioned me about. Muslim injunctions against music, living images, and the free movement of females caused me grief. While my parents encouraged me to see the world and experience life while I was single and childfree, other Muslims were telling me that a woman should never travel without a male guardian. Muslims would praise my wearing of the head-covering, but question the wisdom of living alone in my own apartment. Even after I would explain that I was living alone to be closer to the Muslim community (my parents lived in a suburb), they would tsk tsk me. I was praised for being a demure and deferential Muslimah, but I watched other women in my community be marginalized for being outspoken or criticizing an idea of one of the male leaders. Again and again, I began to see that the leadership in my Muslim community was concerned less about embracing Muslims than accumulating power and excluding others deemed a threat to that power. For a long time, leaving Islam was not an option. So far as I knew, no one had ever left Islam who was not wicked. While it was true that many people stopped practicing, every Muslim I knew insisted that no one truly left the religion unless they were tricked by missionaries or compelled by force. Everything I read about conversion related how Islam was undeniably the Truth. It seemed that being Muslim in community was different than being Muslim in my family, and I did not know if this was a community in which I could ever truly fit. I did not feel free to speak against the ills I saw in my community. I feared even correcting the slander and backbiting I witnessed among leaders—although everyone knew that backbiting is one of the major sins in Islam, likened in the Qur’an to eating the flesh of one’s brother (49:12). Why was I so afraid? Gradually, I became aware of a gap between being a good Muslim and being accepted as good by Muslims. Living Islam Out Loud includes fifteen essays and a short group of poems that explore what it means to be a woman raised both Muslim and American. Several essays are remarkable in capturing the security and comfort of a Muslim upbringing and the subsequently harsh transition into a flawed adult Muslim society. For women who were taught to believe that a good marriage with children would be their greatest accomplishment, it is no wonder that disastrous relationships with men led them to question the meaning of their lives. These women recount disillusionment and feeling betrayed by their communities and God, and then describe the gradual rebuilding of their characters. They learn that being a good Muslim is no guarantee of happiness. In their struggle to redefine themselves, they must rediscover their direct relationship with God and find allies in others who are blazing alternate paths to the Muslim American dream. Like the women of Living Islam Out Loud , I came up against ugliness that belied the beautiful aspects of Islam I had been taught by my parents. I had dreamed that I would be Muslim until and beyond my last breath, but the dream was fading. From time to time I would meet wonderful Muslims truly embodying their faith, but most of these people stayed away from the Muslim “community.” Did I want to raise my future children apart from other Muslims in order to preserve their faith? Something was seriously wrong with that picture. Unlike the women in Living Islam Out Loud , I lost my faith. The excessive and contradictory behavior of Muslims I knew did not, in itself, cause me to leave Islam. It did, however, cause me to question the exclusivity of Islam to have transformative power over people. I had been reading the Tao Te Ching for a few years, and began to carry that little book in my purse, next to my pocket Qur’an. It gave me solace, too. I already knew that non-Muslims could also possess wisdom, but it was a great blow to discover that the Qur’an had been pieced together over a period of years after the Prophet’s death. I learned how the traditions of the Prophet had been compiled—and now there were more doubts about their infallibility. Because I lost my faith, I chose not to stay in Islam and struggle against the status quo. The things I wanted for myself—what I had prayed for from God since I was a child—were things that had nothing to do with being Muslim in particular. Eventually, I made the leap to Unitarian Universalism while searching for a philosophy that allowed me to identify and live my deepest values. More than anything from my childhood, I remember the sounds of day’s end. As mothers called their children in from play, I lingered on the sidewalk, waving goodbye. My parents would call out, “It’s time for prayer!” As I crossed the yard, I could hear water running in the sink, pot lids clanging, and my father making the call for Maghrib (sunset) prayer. The prayer room was the largest room in our split-level house. The hardwood floors were slippery, but my brothers, my mother, and I stood for the salah on a large Oriental rug in the center. My father led in front of us, on a prayer rug for one. To my left was a wall of bookcases with our Islamic books. My mother’s plants filled in different corners. We faced eastward, and in the summer months all I could see through the wide windows were the leaves of the trees in our backyard. The prayer room always smelled clean and perfumed with incense. It was reserved for salah (daily prayer), reading and conversation about religion, and du’a (supplications). It was good to sit on the rug together and talk as a family. I loved the whoosh of the leaves outside and the blessing of the breeze that came in through the windows. As a child I was absolutely certain that Islam was the sirat al-mustaqim, the straight path to success in this life and the next. I prayed to Allah fervently and loved listening to accounts of the prophets, the companions, and the afterlife. My faith in Allah was firm throughout my adolescence, but it was during this time that non-Islamic ideals probably took root in me. While my love of Louisa May Alcott novels probably didn’t conflict too much with my religious teachings (her protagonists were thoughtful Christians, obedient to their parents), my favorite television show was Star Trek: The Next Generation . I had been raised to believe that the best of times was the time of Muhammad and that things would only get worse the closer we came to the Last Days. My father spoke of impending famine, widespread disease, earthquakes, and depravity in the streets: There will be a great war, then a great leader will emerge, then Jesus will return to complete his life on earth and defeat the Antichrist (yes, a Muslim belief), and peace will be restored. Then, the trumpets will sound, and Allah will end the world. All souls will then be called to judgment. While this was all very exciting, it didn’t leave much room for the progressive space travel prospects offered up in The Next Generation . The show inspired a desire for a future in which all things were possible, of which nothing had been written. Optimistic by nature, I did not know how to look forward to the “gloom and doom” scenario prophesied in the traditions of Muhammad. If I’d had to choose between a war-torn planet afflicted with chaos and life on board the Enterprise , there was really no contest. But wasn’t this blasphemous? As a young teen, I did not know how to reconcile my hopes for a humanity that learned from its mistakes with the truth as it was told to me: Humankind is destined to degenerate without direct intervention from Allah. In the years since I’ve become involved as a Unitarian Universalist, I’ve created a new life for myself. Coworkers have remarked that I am “completely different.” I used to avoid eye contact and was so soft-spoken that I was always asked to repeat what I’d just said. Although I was taught to have pride in myself as a Muslim woman, it did not look like pride to others; they read my modesty and bashfulness as repression. Today, even my parents are happy; this is how I know they love me. My mother told me that she and my father were proud of the person I had become. To have this acceptance from my Muslim parents is a true gift; I have seen even my non-Muslim friends fight for unconditional love from their parents. When I was Muslim, most of my friends were other Muslims—and many of them I met online or at conferences. As a UU, I also have many long-distance friendships, which I keep up online and via telephone. Once again, I have built a life around my religion. Precious Rasheeda Muhammad notes in Living Islam Out Loud that Islam is not just a religion, but also a movement. Many black American converts like my parents embraced it as a way of being fully themselves and fully engaged in their communities. I joined the First Unitarian Church in Portland, Oregon, instead of being “a nothing” (as I put it) because I remain a community-oriented person. Now I am active in DRUUMM (the community for UU people of color) and the continental UU young adult community through FUUSE.com, Church of the Younger Fellowship, and C*UUYAN. But I have to be intentional about not repeating the same patterns as a UU that I fell into as a Muslim, getting so caught up in administrative duties and maintaining an institution that I forget to ask myself the questions that caused me so much agony as a Muslim. I became a UU in order to draw those questions out, but too often I find myself not exploring them in full. My involvement in Unitarian Universalism has developed my leadership skills, but I must constantly remind myself to be a leader who thinks for herself, and not merely a “role model” who repeats what she has been told. Since the events of September 11, people all around the world have looked for examples of “progressive Islam.” When I was struggling with my faith in the late 1990s, I could not find anything on the Internet about people who had left Islam—except as converts to Christianity. Many Muslims considered groups like the Ahmadiyyas and the “19ers” sects because they went from believing in a more moderate Islam to fixating on a particular figure as their Messenger. Now, however, there is greater conversation about varieties of Islam. Now, the progressives are apparent. Sometimes I wonder if I left Islam only because I lacked imagination. Perhaps, but I also knew that I didn’t want to spend the rest of my life arguing—defending myself against conservative Muslims and defending Islam against non-Muslims. Islam seemed to put me in a box, with different labels on each side for those who viewed me from varying angles. Does Unitarian Universalism put me into a box, too? The Islam I experienced did not always lift me up as a black American girl child of converts: I was sidelined by a whole host of people who felt they were inherently superior to me by virtue of being from a Muslim culture, speaking Arabic, or looking more European. Why were all of the prophets men? Why did I have to have permission from the men in authority in order to be affirmed? Why were my working-class parents not considered respectable by the white-collar families of my friends? Now I have to ask myself: Does Unitarian Universalism lift me up? 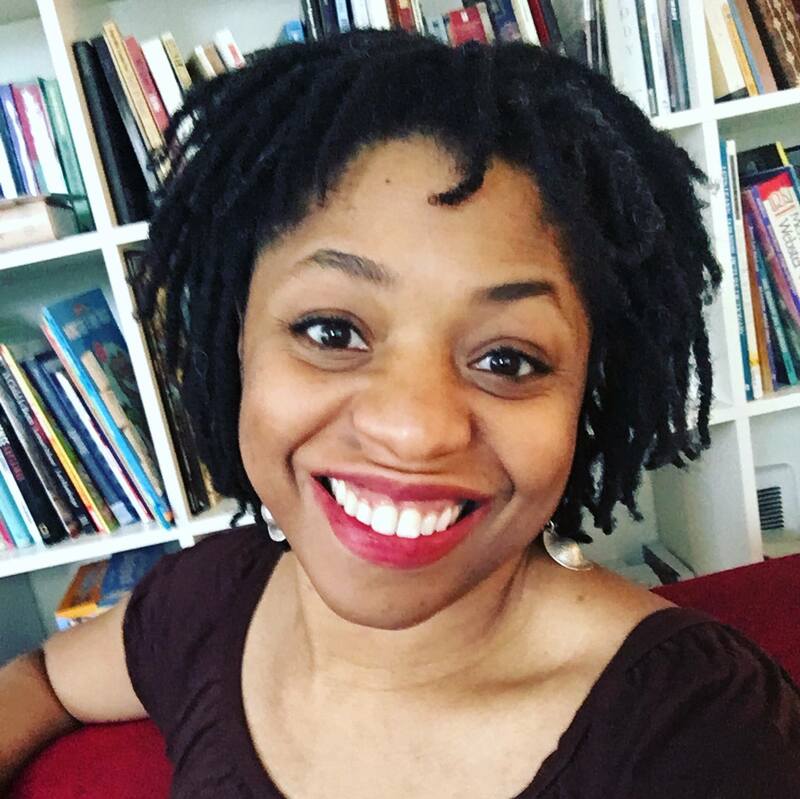 Can it lift me up, a black Latina who doesn’t believe in God so much? Where are my heroes? Where are the UU traditions that celebrate my culture, my ancestors? I have given up any hope of being “normal.” Being a UU doesn’t solve my problems, but it allows me to practice living with hope. Unitarian Universalism is a religion that can change. Its past is not the mold for the future. Its texts can be expanded. When I feel at odds with the company I keep, I can speak up. Possibility is always present; the future is open to us. That is a faith I can embrace. Hafidha Acuay is a Unitarian Universalist and writer in Seattle. Her writing has appeared at xoJane and the Unschooler Experiment. Her blog is Never Say Never to Your Traveling Self.